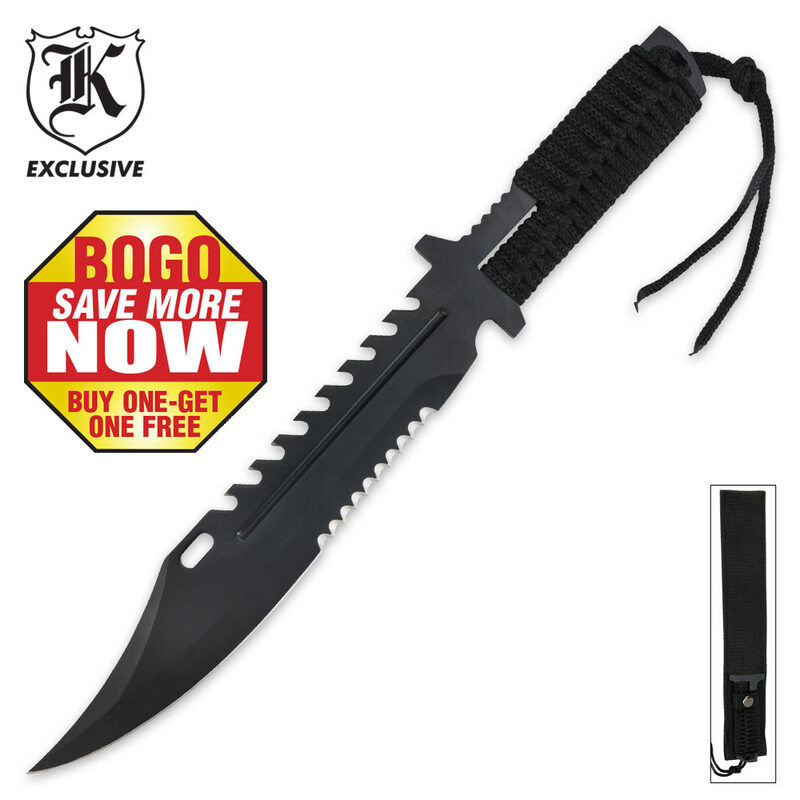 Cord Wrapped Double Serrated Survival Fixed Blade Knife - BOGO | BUDK.com - Knives & Swords At The Lowest Prices! i got my order today, it's pretty neat and it has survived my initial tests (throwing, chopping, bending stress, cutting) so i believe i made a good choice but time will tell, the only complaint was the cord wrapping came loose after a few minutes out of the box, i leather wrapped it for a better grip. all in all it's a awesome scary looking product.